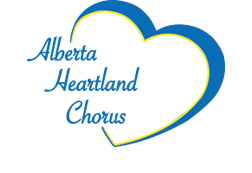 I joined Alberta Heartland Chorus in 2013 but have been a member of Sweet Adelines since 2002. I'm taking over as Team Leader. I am blessed with the responsibility of meeting all new members and regular members each week. I am your first contact with our loving chorus and I will do my best to make sure that you want to stay. I love the joy we have in our chorus and that you could have that same feeling too, you just have to "Come and Harmonize with Us"
In her "real" life Brenda has been married to her husband Sandy for 33 years. They are the proud parents of two sons and have one granddaughter, Mina.